What is PLA, and what is it used for? Polylactic Acid is biodegradable and has characteristics similar to polypropylene (PP), polyethylene (PE), or polystyrene (PS). It can be produced from already existing manufacturing equipment (those designed and originally used for petrochemical industry plastics). This makes it relatively cost efficient to produce. Accordingly, PLA has the second largest production volume of any bioplastic (the most common typically cited as thermoplastic starch). There are a vast array of applications for Polylactic Acid. Some of the most common uses include plastic films, bottles, and biodegradable medical devices (e.g. screws, pins, rods, and plates that are expected to biodegrade within 6-12 months). For more on medical device prototypes (both biodegradable and permanent) read here. 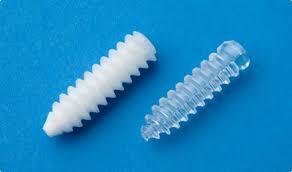 PLA constricts under heat and is thereby suitable for use as a shrink wrap material. Additionally, the ease with which Polylactic Acid melts allows for some interesting applications in 3D printing (namely “lost PLA casting” - read more below). On the other hand, its low glass transition temperature makes many types of PLA (for example, plastic cups) unsuitable to hold hot liquid. What Are The Different Types of Polylactic Acid and Why is it Used so Often? There are several different types of Polylactic Acid to include Racemic PLLA (Poly-L-lactic Acid), Regular PLLA (Poly-L-lactic Acid), PDLA (Poly-D-lactic Acid), and PDLLA (Poly-DL-lactic Acid). They each have slightly different characteristics but are similar in that they are produced from a renewable resource (lactic acid: C3H6O3) as opposed to traditional plastics which are derived from nonrenewable petroleum. PLA production is a popular idea as it represents the fulfillment of the dream of cost-efficient, non-petroleum plastic production. The huge benefit of PLA as a bioplastic is its versatility and the fact that it naturally degrades when exposed to the environment. For example, a PLA bottle left in the ocean would typically degrade in six to 24 months. Compared to conventional plastics (which in the same environment can take several hundred to a thousand years to degrade) this is truly phenomenal. Accordingly, there is a high potential for PLA to be very useful in short lifespan applications where biodegradability is highly beneficial (e.g. as a plastic water bottle or as a container for fruit and vegetables). Of note, despite its ability to degrade when exposed to the elements over a long time, PLA is extremely robust in any normal application (e.g. as a plastic electronics part). PLA is one of two common plastics used on FDM machines (3D printing) and is commonly available as a 3D printable filament; the other common 3D printer plastic is ABS. 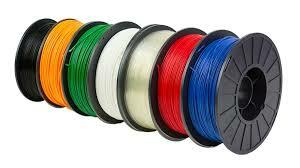 PLA filament for 3D printing is typically available in a myriad of colors. Polylactic Acid could be CNC machined but it is typically not available in sheet stock or rod form. It is, however, typically available as a thin film for thermoforming or in the form of plastic pellets for injection molding. To adjust material properties, plastic injection mold pellets are typically produced and/or blended together. One of the interesting things you can do with PLA on a 3D printer is called “lost PLA casting.” This is a process where PLA is printed in the shape of an interior cavity and then encased with plaster-like materials. The PLA is later burned out as it has a lower melting temperature than the surrounding material. The end result is a void that can be filled (often with molten metal). Polylactic Acid is principally made through two different processes: condensation and polymerization. The most common polymerization technique is known as ring-opening polymerization. This is a process that utilizes metal catalysts in combination with lactide to create the larger PLA molecules. The condensation process is similar with the principal difference being the temperature during the procedure and the by-products (condensates) that are released as a consequence of the reaction. What are the Characteristics of Polylactic Acid? Now that we know what it is used for, let’s examine some of the key properties of Polylactic Acid. PLA is classified as a “thermoplastic” polyester (as opposed to “thermoset”), and the name has to do with the way the plastic responds to heat. Thermoplastic materials become liquid at their melting point (150-160 degrees Celsius in the case of PLA). A major useful attribute about thermoplastics is that they can be heated to their melting point, cooled, and reheated again without significant degradation. Instead of burning, thermoplastics like Polylactic Acid liquefy, which allows them to be easily injection molded and then subsequently recycled. By contrast, thermoset plastics can only be heated once (typically during the injection molding process). The first heating causes thermoset materials to set (similar to a 2-part epoxy) resulting in a chemical change that cannot be reversed. If you tried to heat a thermoset plastic to a high temperature a second time it would simply burn. This characteristic makes thermoset materials poor candidates for recycling. PLA falls under the SPI resin identification code of 7 ("others"). In solid form, no. In fact, Polylactic Acid (PLA) is biodegradable. It is often used in food handling and medical implants that biodegrade within the body over time. Like most plastics, it has the potential to be toxic if inhaled and/or absorbed into the skin or eyes as a vapor or liquid (i.e. during manufacturing processes). Be careful and closely follow handling instructions for molten polymer in particular. Recently researchers from the Illinois Institute of Technology published a paper on Ultrafine Particle (UFP) emissions from commercially available 3D printers using ABS and PLA feedstock. You can read about the results here. What are the Disadvantages of Polylactic Acid? PLA has a relatively low glass transition temperature (typically between 111 and 145 °F). This makes it fairly unsuitable for high temperature applications. Even things like a hot car in the summer could cause parts to soften and deform. Polylactic Acid is a little bit more brittle than ABS for 3D prototyping but it has some advantages as well. For a full comparison of the two plastics as they relate to 3D printing read here. What are the properties of PLA?